Talk about testing your process. Compiling my 2019 AL-Only Starting Pitcher rankings really forced me to dig through my projections several times. I can look at the projections and say they are on target, then look at the rankings and feel conflicted. Indeed I did go back and tweak a few pitchers, but if you want to win at fantasy baseball you can’t let perception run your team. If I believe in the math of the projections, then I need to trust them. With all that said, these rankings are a start. Especially once Spring Training starts, I’ll be making adjustments in my projections and rankings as roles become more clear. The way rosters look right now is not the way they will look in late March. 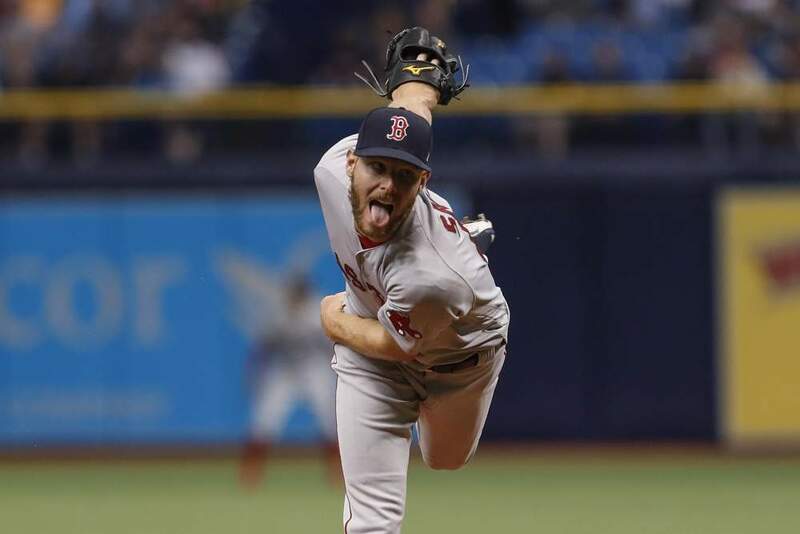 I mentioned it in our Mixed League Starting Pitcher Rankings, but I’m definitely adjusting how I value starting pitchers for the foreseeable future. Starting pitchers are working fewer and fewer innings in general, which conversely means relievers are getting more innings, more strikeouts, and more wins. The top few aces (Verlander, Sale, Kluber) are the exceptions to the new rule and are more valuable than ever. Then there’s a second tier that pitches fewer innings, but still offers nice production. After that, it’s a big mess of mediocrity at best. At worst there is a huge group of pitchers that will actually hurt your team. I will be very selective in rostering pitchers ranked lower than or so. I’d rather take a high-strikeout middle reliever in most cases. I’ve always used top middle relievers to exploit the ERA and WHIP categories to some extent. The current pitching trends have me looking at expanding that strategy and if other owners settle for the ugly underbelly of starting pitchers, they will have no shot. So with all this uncertainty, I figured I’d run down some of the things I’ll be watching for this spring. The Houston Astros Starting Rotation – Dallas Keuchel and Charlie Morton are gone. Lance McCullers Jr. is out for the year after undergoing Tommy John surgery. Right now Roster Resource has Collin McHugh, Josh James, Framber Valdez filling out the Astro rotation. At one point it looked like Brad Peacock might even return to a starting job. Then, of course, they’ve got Forrest Whitley, maybe the top pitching prospect in baseball, lurking in the minors. There’s even been some talk of using Kyle Tucker and other prospects to trade for a frontline starter. Every one of these pitchers I just mentioned has real talent and could be pretty valuable in AL-Only leagues. I’ll be watching this situation very closely all spring. The Tommy John prospects – A.J. Puk and Brent Honeywell were among the top pitching prospects in baseball prior to going under the knife. Early reports have been positive, but how is each team going to handle them? Will Tampa Bay use Honeywell as their bulk guy after an opener? How long will Puk pitch in the minors before he gets the call? If these two elite talents are back to where they were, they could produce huge value in AL-Only leagues. I usually have a nice list of lower-ranked starting pitchers I like as sleepers. Not so much in this year’s American League pitching pool. Here are a few names down the list I might entertain though if things roll right. As you can see I like Shane Bieber. I’ve got him at No. 17 which is probably higher than most anywhere you’ll see. That 4.55 ERA is misleading. He posted a 9.26 K/9 and a 1.81 BB/9. His xFIP was 3.30 and his SIERA was 3.45. He was undone by a somewhat low 69.4 LOB% and a fluky .356 BABIP. Michael Pineda has never turned into what I thought he might, but he gets strikeouts, doesn’t walk many batters, and won’t kill you in the ERA department. If he’s looking decent in the spring I might take a late round flier. Last year it was Ryan Yarbrough. This year I think it may be Yonny Chirinos. Chirinos could improve his control, but he’s very hard to hit. Whether he starts or follows the opened, I think he could be a very useful pitcher in AL-Only leagues. Alex Cobb was horrid for the first few months of the 2018 season. Did you notice he had a 2.56 ERA in the second half? It’d be easy to jump onboard if he played for a better team, but Cobb might be one of that lower tier I might take a shot on. Hell, if he pitches well maybe he gets traded to New York or Boston after a month or two. Enjoying these 2019 AL-Only Starting Pitcher Rankings? For more great rankings, strategy, and analysis check out the 2019 FantraxHQ Fantasy Baseball Draft Kit. We’ll be adding more content from now right up until Opening Day! Doug Anderson is a 10-year veteran of the Fantasy Sports industry. His work has appeared on RotoExperts.com, Yahoo.com, SI.com, and NFL.com, as well as in the pages of USA Today’s Fantasy Baseball Weekly and various other magazines. Doug has participated in both LABR and Tout Wars, the two preeminent expert fantasy baseball leagues in existence. 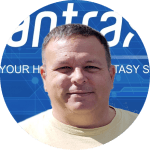 Doug was formerly the Executive Editor at RotoExperts and is now Managing Editor here at FantraxHQ. You can follow him on Twitter @RotoDaddy. – You seem to have a worse ranking for Clevinger than most everywhere else I’ve reviewed to date. Why? – I could have sworn I saw a negative article on Heaney as a sleeper, yet your ranking is high? The article you are referring to was 5 Pitchers Who Will be UnderDrafted, meaning they won’t be drafted as high as they should. As far as Clevinger goes, I do like him. I wouldn’t argue with someone who ranked him higher. My rankings are strictly based on the projections. If the projections are good, then he’s in the right place. With that said for me there’s little difference in these rankings between pitcher No. 10 and pitcher No. 15. Their values are very close. When I do my full rankings I’ll include dollar values that allow us to get a better idea of relative value.